Valentine’s Day can be a hard one for kids with chronic illnesses. They may be in treatment and miss a party at school. With frequent doctor’s appointments and hospital visits, they may not form friendships as they otherwise would. In addition, they may not be as excited about the day for hearts, candy and cards as their peers, and this makes them the perfect candidates for an extra dose of love and surprise. Five years ago, Gregory Margida, 21, and his sister, Michaela, 26, wanted to do something special at Valentine’s Day for children with cancer. They were touched by the children they had met while volunteering at Akron Children’s Camp Quality, a summer camp for kids with cancer and their siblings. They began recruiting friends to buy and ship gifts for children they knew could use some cheering up. Once they put the word out on Facebook, the project really took off and, in 2011, they matched 80 gift buyers to kids. They decided siblings would also get gifts since cancer affects the entire family. From the start, FedEx agreed to deliver the packages free of charge. 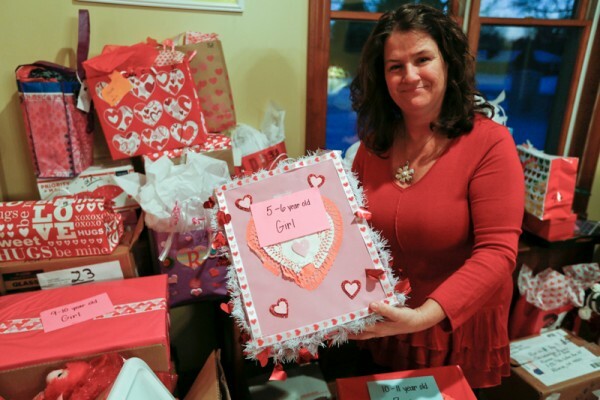 As word spread through the staff of Akron Children’s Haslinger Family Pediatric Palliative Care Center and a website, “The Valentine Project” has almost quadrupled its deliveries. This year, nearly 300 children – ranging from ages 1 to 18 – will receive gifts on or before Feb. 14. Gregory and Michaela, a graduate student at the University of Toledo, do much of the legwork during their holiday break from college. But in the weeks leading up to Valentine’s Day, their parents, Andrea and Anthony, take over. In fact, the Margidas incorporated “The Valentine Project” and made it an official non-profit organization so they will be able to apply for grant money. Parents of kids with special needs sign their kids up on the organization’s website and volunteers sign up to buy them gifts. 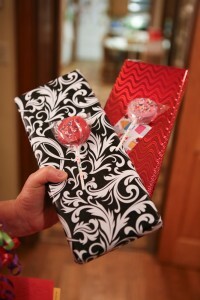 The gifts are mailed to the Margida home in Alliance, Ohio, by a deadline about 10 days before Valentine’s Day. The gifts come in all shapes and sizes, ranging from gift boxes and gift bags to Build-A-Bear boxes and shoe boxes decorated in elementary school “mailbox” fashion. They’re filled with gender and age-appropriate surprises like craft kits, candy, stuffed animals, Legos, books and cards. 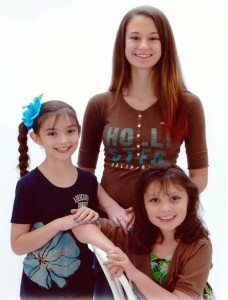 They don’t know it yet, but sisters Brianna, Kendal and Makenzie Yovanovich of Akron are on the list to receive gifts this year. Their parents, Dan and Jennifer, are looking forward to seeing the smiles. All 3 girls have had health problems. After some hematology concerns, Brianna, 14, had her spleen removed but is doing well now. Kendal, 7, a very active child, suddenly started to experience severe joint pain 2 years ago. She was diagnosed with Ehlers-Danlos syndrome, a connective tissue disorder that puts her at high risk for dislocating a joint. She manages the pain through medication and therapeutic horse riding. This is the first year for the Yovanovich girls to receive the surprise delivery on Valentine’s Day. For more information about The Valentine Project, visit www.thevalentineproject.org.